Even though technology continues to advance, many clients and designers are still traditionalists at heart. 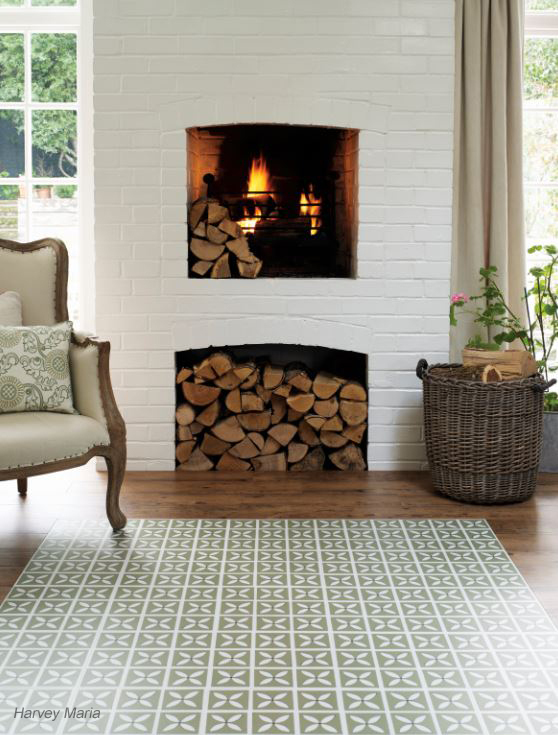 The authentic, rustic look is still a timeless classic, but many people are realising that the real thing simply may not be an option, for a number of reasons. New technology continues to be used to enable LVT manufacturers to accurately recreate the wood look in a flooring product that is not only budget-friendly but also easy to maintain, moisture-resistant and easy to clean. Interior designers and home owners are becoming increasingly comfortable experimenting with shapes, and in particular, geometric prints. 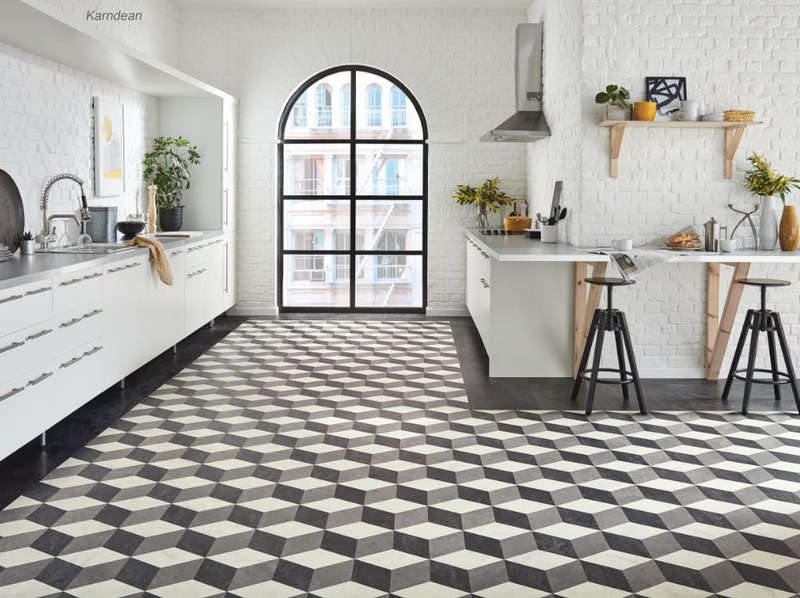 The industry is seeing a rise in colour triangular shapes, monochrome cubes and a plethora of other patterns. 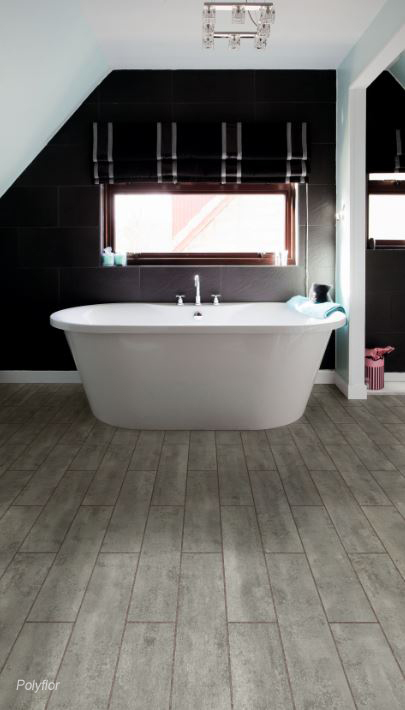 While many prefer the natural, authentic look of wood, others are opting for an industrial look and feel by specifying LVTs in varying shades of grey. From ashy tones and pale, white-washed effects to deeper greys, clients are channelling the industrial look and feel with grey. 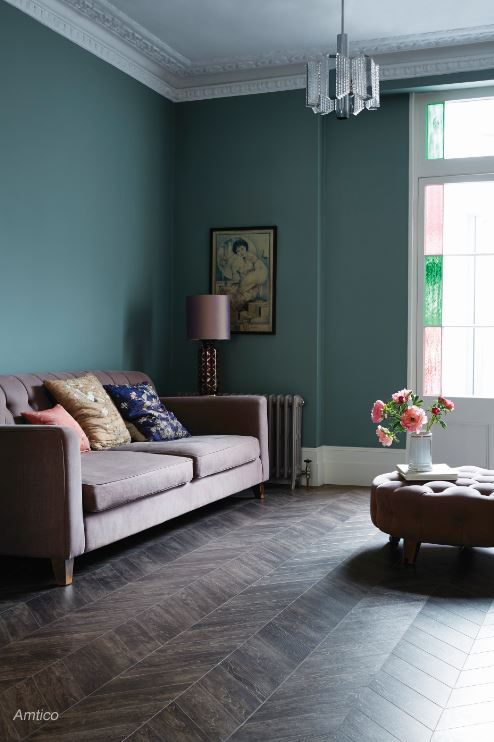 Many LVT manufacturers have launched products in these tones throughout the year, and some forward-thinking ones are even combining the grey looks with parquet style flooring for a unique look and feel. Bringing the outdoors indoors is an ongoing theme in interior design and revamping. From bold prints to more subtle injections of nature, biophilic designs have been hugely prevalent in LVT flooring over the past few months. This style is easy to pair with other interior design elements and furniture, and there are a variety of products on the market that emulate the light and airy feel of the great outdoors while remaining chic and modern. For more information, visit www.tomorrowsretailfloors.com, to which full thanks and acknowledgement are given.